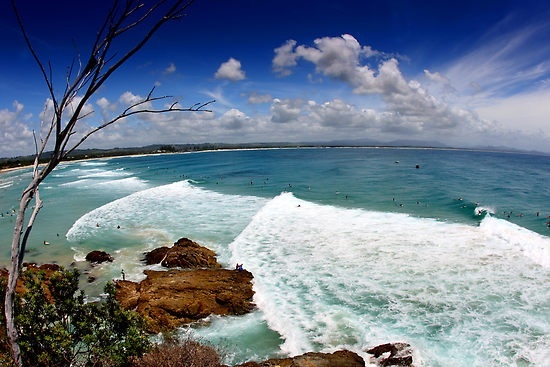 This week I am in sunny Byron Bay so it only seems fitting that I pay homage to a place that has provided me with so many happy memories over the years. I love Byron this time of year. The circus that is the new year period is drawing to a close and the million plus people are slowly travelling back to their place of origin. The weather has so far come to the party and everyday has been sunny, warm and the water temperature up here this time of year is bath like. I have spent the last week cooking some amazing food. There is nothing like standing around a barbecue cooking and drinking beer with friends. If there was some way to make money from doing this, I’d be rich! We caught up with some old friends the other night and talked about our travels together over jugs of sangria. While this was great at the time, the next day was a different story. Nursing sore heads and feeling sorry for ourselves we went to the Top Shop Cafe for a breakfast hangover cure. The great thing about the Top Shop is that majority of the food and produce is gluten-free and the vibe of the place has the patrons sitting on the steps and laying on the front lawn while fuelling up for the coming day. I had the ol’ reliable bacon and egg roll on toasted turkish while my girlfriend and friends opted for the Breaky Burger- a concoction of eggs, bacon, avocado, baby spinach, hashbrown and tomato relish. With a decent case of food envy, I finished my bacon and egg roll and sipped on my iced coffee while the rest of my friends raved about their Breaky Burger in between mouthfuls. With a renewed outlook on the world and with full stomachs we made our way to the Pass for a swim. 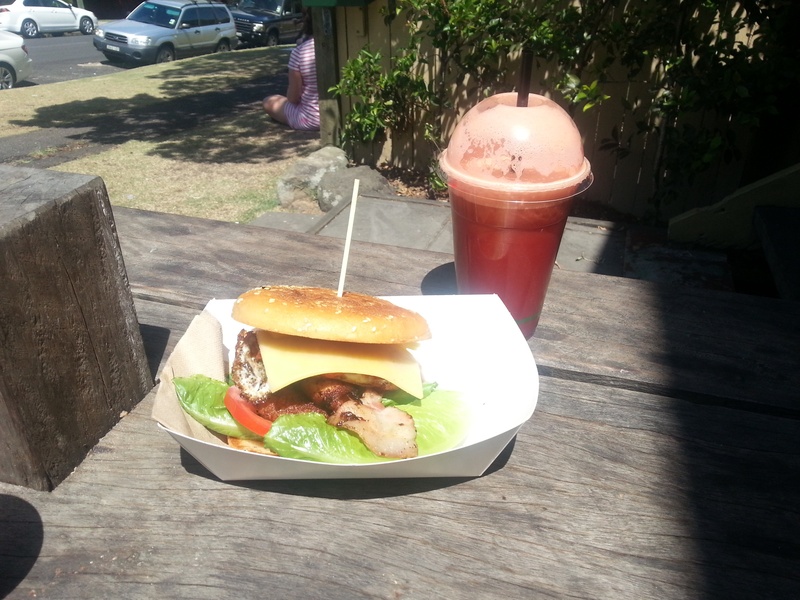 Gluten-free Breaky Burger and a Liver cleanser (beetroot, carrot, celery, apple and ginger) juice. Perfect hangover cure! The waves up here are good. Byron boasts some classic breaks which over the years have been good to me. This year the surf has been ok but who would complain with weather and water like this? I will keep this post short as the water is calling. Until next time, see ya. 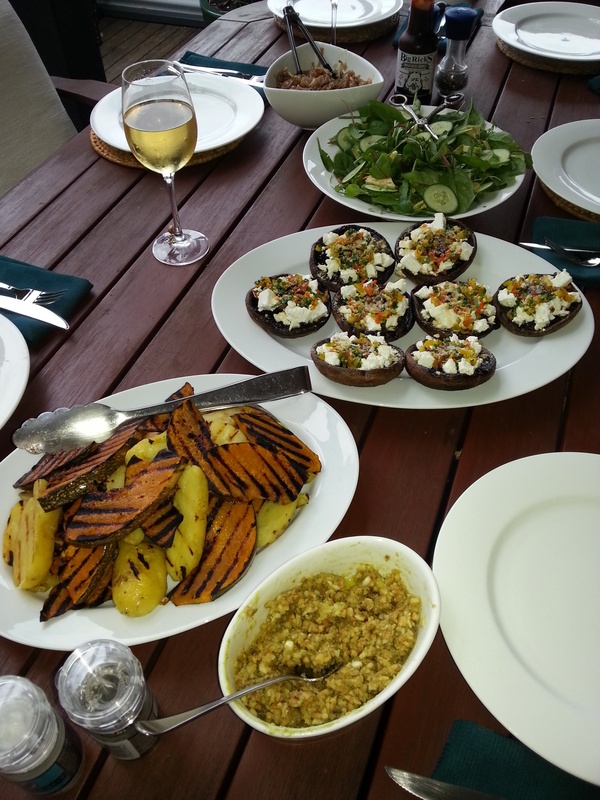 Vegetarian’s delight: Roasted vegetables, field mushrooms stuffed with feta and homemade salsa, wasabi and cashew dressing and salad. 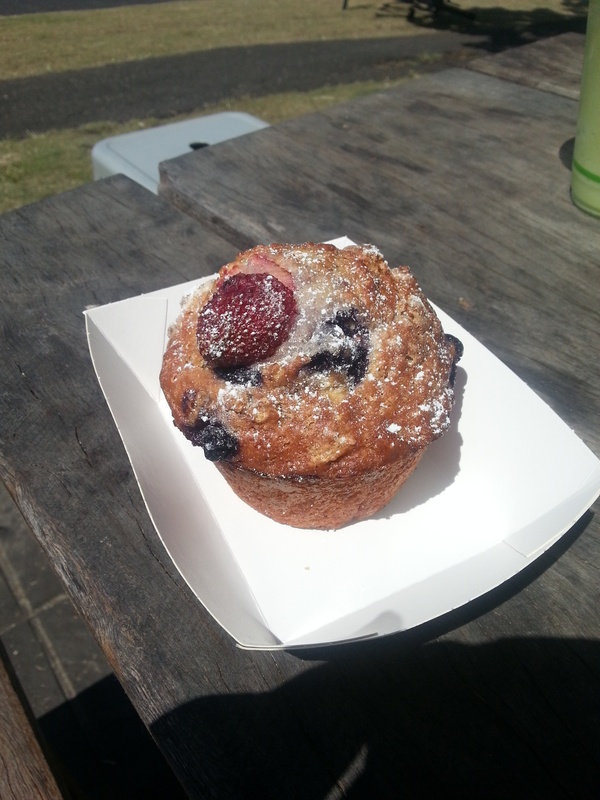 Gluten-free berry muffins @ The Top Shop. 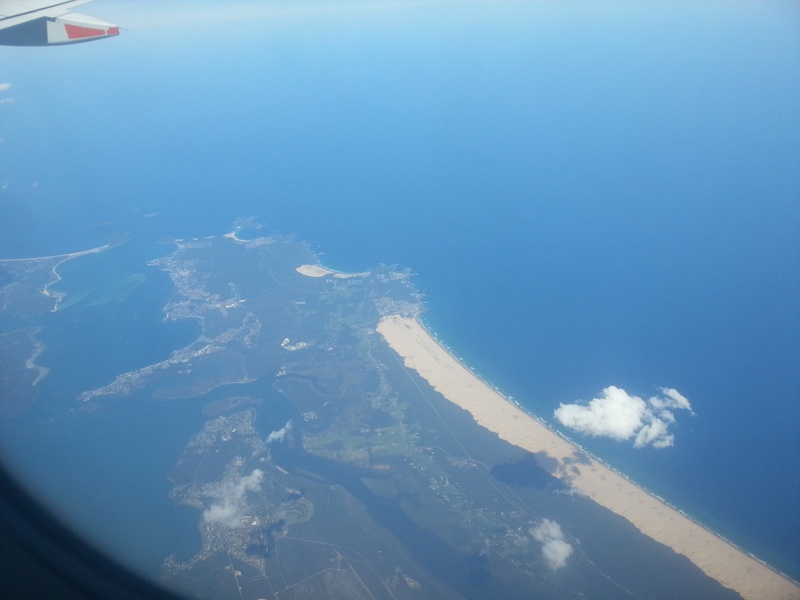 The view of the New South Wales north coast from the air.